This week has seen some wonderful snow across a lot of the UK. If you are lucky enough to have snow for your big day, you are one of the few and so make the most of the beautiful scenery! 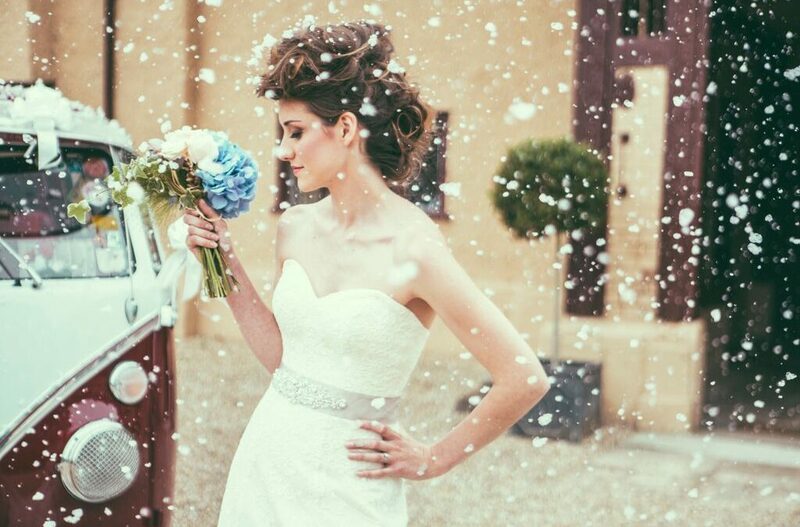 Your images will be light and bright with the snow, and your photographer will know how to maximise on the stunning landscape to bring that winter wonderland feel to your wedding images. If you are going to be outdoors in chilly weather, always think of ways to protect your wedding hair so that it does not get damp. And make sure you have items to keep you warm – even if you remove them in between photographs. Winter weddings with snow will always have a magical feel to them, and frost can look just as wonderful too. It is one romantic look if you do opt for the winter and are lucky enough to have fantastic sunshine with settled snow.